Bengaluru: In a first in the country, Bengaluru’s Yediyur ward that generates 250 kilowatt of power from garbage is set to supply power to 17 Bruhat Bengaluru Mahanagara Palike (BBMP) buildings, 13 parks and street lights in a 3-kilometre radius of the ward. According to Poornima Ramesh, Yediyur ward corporator, every day the ward gets about 5 tonnes of wet waste and that is processed to generate 50 kilowatt of power every day, now the generation capacity has reached 250 kilowatt. "The BBMP was paying Rs 9 lakh on power bills to Bengaluru Electrical Supply Company (BESCOM). This will be saved. Instead, we are getting Rs 6 lakh to BBMP's account from BESCOM as we are selling 100 kilowatts of power to them in return," said NR Ramesh, former corporator and BJP leader. Apart from this, the manure generated from garbage from the ward is processed and supplied across 270 parks in Bengaluru south area. "The money spent of manure to maintain the parks was an added burden to BBMP. From now on, we will save about Rs 4 lakh on that. This apart, the transportation of 5 tonnes of garbage to quarry pits for dumping that would cost about Rs 5 lakh every month and that also is stopped as not an ounce of garbage is going out from Yediyur," Ramesh said. 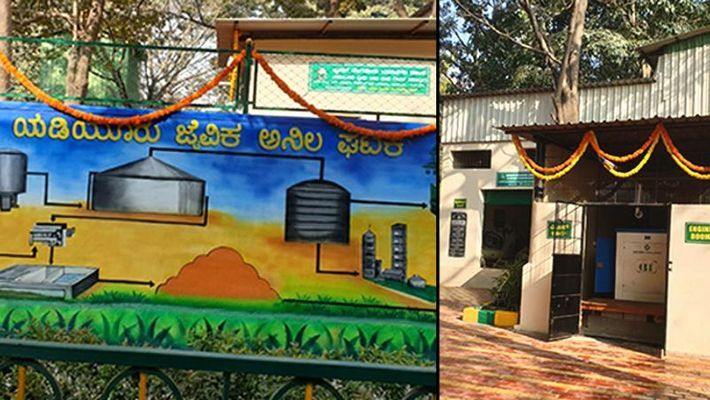 The power plant that runs on garbage collection is situated at South End Circle in Jayanagar and is open for public and students from 9 to 5 PM daily except Sundays for study and knowledge purpose.